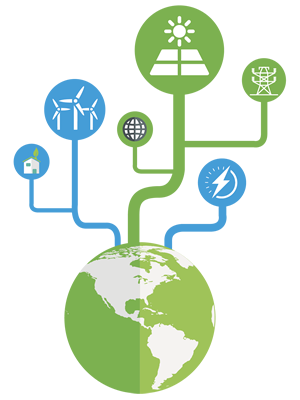 Greening the Grid is a platform for expertly curated information and guidance to support countries in power system transformation and grid modernization. The Greening the Grid platform is organized into topic-specific Toolkits that provide 1) concise and comprehensive overviews of emerging practices for addressing renewable energy development challenges through policy, market, and regulatory mechanisms and 2) guidance on applying these mechanisms to develop robust renewable energy policies and practices. Partnering to develop grid integration road maps. Greening the Grid is supported by the U.S. Government’s Enhancing Capacity for Low Emission Development Strategies (EC-LEDS) program, which is managed by the U.S. Agency for International Development (USAID) and implemented by the National Renewable Energy Laboratory (NREL). To learn more about the mission of Greening the Grid, please click on the image in the sidebar to the left. Interested in partnering through Greening the Grid to receive technical assistance on grid integration? Please contact us to learn more and explore opportunities for collaboration.